Rooftop open-air areas are becoming a value added addition to buildings across the country. With lightweight and long lasting aluminum structures the ideas are endless. Skyline Engineered Systems can provide your project with aluminum railings, trellises, decking, canopies, and much more. Our products come custom designed to fit your specific application and all necessary building codes. Pre-engineered and with ease of installation we can provide your building a beautiful finishing touch. Rooftops aren’t just for humans anymore. 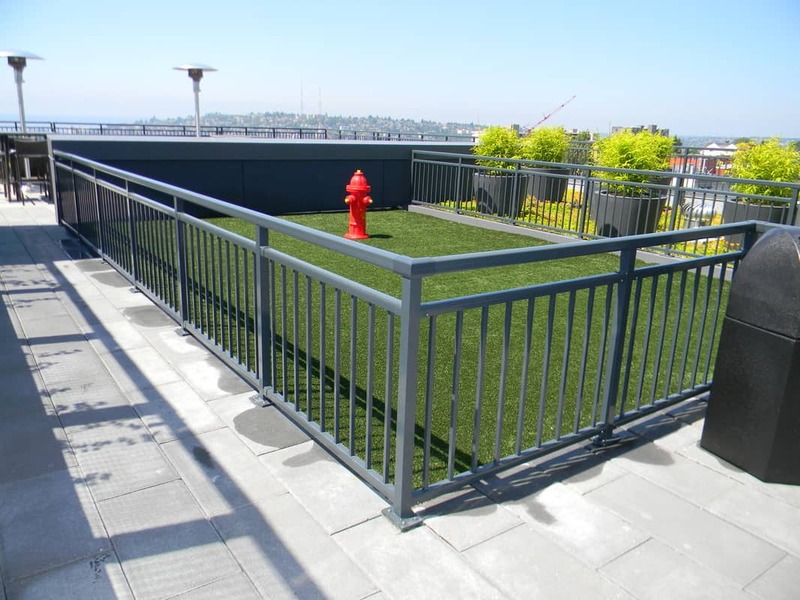 Well designed and built rooftop spaces are the perfect relaxing environment for both residents and their pets. Our safe and secure systems help increase your revenue and resident retention. Engineered and fabricated with long lasting, durable aluminum to ensure that your design intent remains for many many years with virtually no maintenance.